DJ NABS – The DJ Storyteller! What I love about being a writer is the ability to meet and talk to people who can literally change your life in an interview. As a writer of Hip Hop music and culture I often find myself in a position to talk to those who are true pioneers in every sense of the word and paved the way for the rest of us to follow, often without much pomp and ceremony surrounding them. One such opportunity was awarded to me during my interview with DJ Nabs, one of the most influential Hip Hop DJ/Producer’s in America. Speaking with DJ Nabs was a lesson on the history of how some of the biggest artists of our Hip Hop generation came to be, captured all through the eyes and memory bank of this ground-breaking DJ. 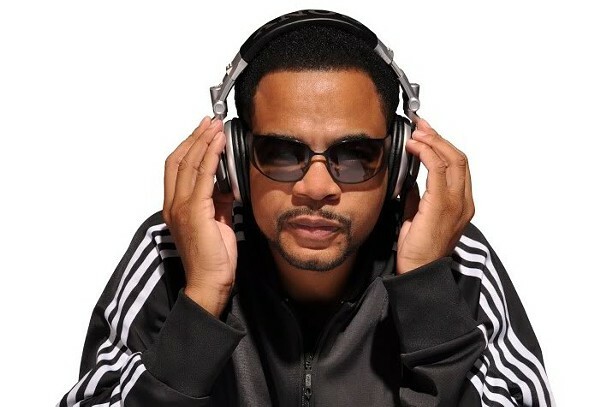 This Durham North Carolina native began his career in Atlanta and has gone from djing for breakout acts like Kris Kross in the early 90’s featuring on their second album Da Bomb and providing a solo turntable performed on that album called DJ Nabs Break. Before too long Nabs met singer/ producer Jermaine Dupri and the pair formed a friendship that would see DJ Nabs secure himself as the exclusive DJ for SO SO Def. 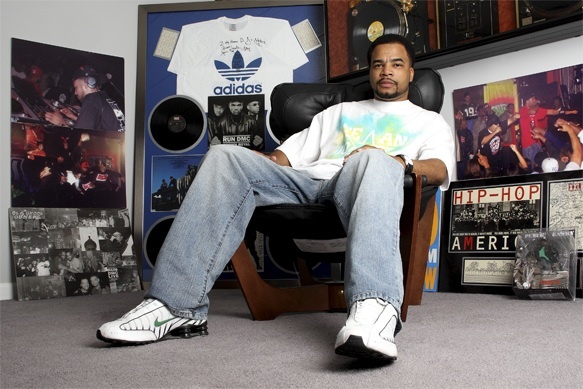 He went on to work with 90’s super artists Da Brat, Xscape, Jermaine Dupri and Bow Wow, creating exclusive remixes on their albums and going on tours around the world DJing at various shows and sell out concerts. DJ Nabs was indeed living the dream and before too long radio came calling. Today DJ Nabs is still as sought after now as he was back then and with the music industry changing at a rapid rate due to the increase in technology to almost every aspect of the game; DJ Nabs has always managed to stay one step ahead. He is currently the president Jermaine Dupri’s collective “ The Def DJ’s” and is never far from his original love of the turntables, djing across the US as well as internationally. He holds the title of Artist Development Manager and Music Publisher at Mauldin Brand Agency, responsible for artists like Anthony Hamilton, Common and Kandi Burns and is also A&R for Scream Star Entertainment / Atlantic Records. In between all of this though Nabs has gone on to create what could go down as the best historical account of the DJ story this side of how Hip Hop began. As the creator and prime producer behind his documentary The American DJ Story, Nabs goes on to explore the role DJ’s played and continue to play in the Hip Hop Industry and through various footage and a range of interviews with some of the industries greatest artists, Nabs opens up his memory box and lets history speak for itself. It was an education for me to interview this phenomenal DJ, with his humble and down to earth persona that belies the depth of history, experience and years he has claimed in this game. I learnt about the dedication and perseverance needed to be the world’s best open format DJ, a title that DJ Nabs wears and performs with pride. I also learnt that life as a DJ is about taking chances and learning to read and receive opportunities when you least expect, because if you play the game right there is no limit to what you can achieve. I hope that this insight into the story of American DJ Nabs leads to the awakening of the Hip Hop story lying within us all! Reading up on your career you have had an amazing journey so far. Starting out in Durham NC and then working with Jermaine Dupri, where you became the official So So Def DJ. You have worked with some amazing artists, produced some killer remixes and you are now president of the collective Def DJ’s. How has the ride been for you and what keeps you motivated to keep going and growing. I would start by answering that question with LL Cool J’s “I Need Love “record – that was literally the track that started me on my DJ journey. That track and two girls called the I.T. Girls – I was djing for the two of them, one was a rapper the other a beat-boxer and we met with a producer who literally made an anthem record over LL Cool J’s I Need Love and the rapper gi8rls vocals and it started getting played and we started booking shows from that, so me being their DJ was what initially got me noticed. 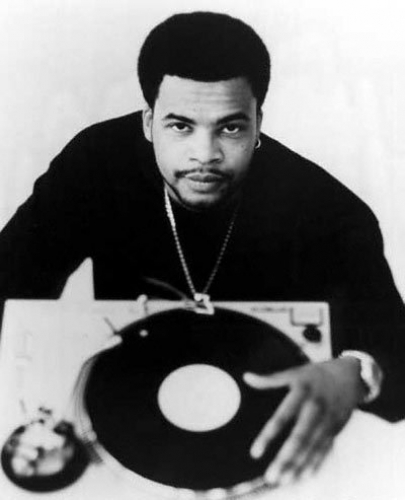 We were doing shows with the likes of DJ Jazzy Jeff, 2 live Crew and that was a big deal to a kid like me you know, fresh outta high school and all. That’s what really wet my appetite to the endth degree and I had to end up leaving Durham because everything was literally happening in New York and Atlanta so I chose to move Atlanta and build my career from there. I then met Speech from Arrested Development and we became good friends. At the time they were known as Secret Society and were not internationally known at the time so I went on to DJ for Secret Society who eventually became Arrested Development, released their hit Tennessee and I ended up remixing Tennessee. How I met Jermaine Dupri was through Arrested Development’s manager Michael Maulding, who was also Jermaine’s father and that’s how we connected. Now at that time when Arrested Development started taking off so too was Michael’s other project Kris Kross and he asked me to then DJ for Kriss Kross and that’s how things really started growing. 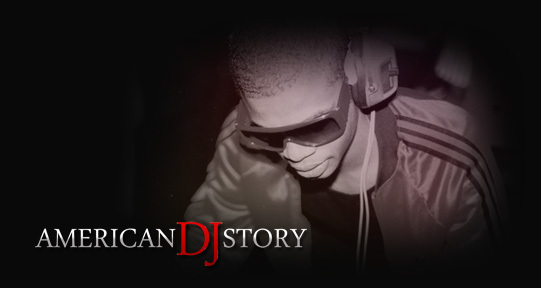 I’m really intrigued to find out more about the movie project you are involved in called American DJ Story! It sounds amazing! What gave you the idea to come up with the idea for the movie and how was the process for you putting it together? When is it out? It is definitely my project and something that I had been sitting on for a while as I had all this amazing footage I had collected over the years and needed a good way to display and create something positive with that footage. Footage showing Ludacris as an intern at the radio station that he went on to become a radio DJ at, you know footage that no-one will have seen or even aware of so I realized then that I had a documentary in the making. After returning from a gig in St Martin where I didn’t do so well, it really made me think of how hard it is for American DJ’s to be accepted when they DJ anywhere else in the world so that encouraged me to produce this documentary. In terms of when it will be out that’s a tough one to answer with an exact date as I have been working on this project for the last four years now. As with anything in the music industry, it takes time to get something worthwhile released as I want to make sure that I have all the right elements together where I need them. I can see the finish line though and am focused on releasing it really soon. I’m prepared to do a worldwide tour and gigs in conjunction with releasing the movie. Watch this space (laughs). What are your thoughts about the role of the DJ in our hip hop community and with the advancing gains in technology do you think the DJ is still pivotal in this game? I think the typical expectation that people tend to have about the role of a DJ is one that supports the artist by playing their music but to be honest with you everyone at some point of their career goes through that point of struggle and tend to gravitate towards people in their lives or community that can serve as a mentor. For someone like me it is engrained in me to share so I am always ready to help somebody out whether you’re a rapper or a DJ, it doesn’t really matter to me. It’s more important to help support those that you can in whatever community you represent and speaking from a DJ’s point of view I look at the people I have helped support at the time of their struggle, like Nick Cannon, Missy Elliott, Ludacris etc., those people are in the same position now where they are called upon to help the next generation and they do. So it’s no longer just about getting your demo tape to the DJ to help break the new artist in, it’s a lot deeper than that now and role of the DJ has evolved to a higher level. What do you think are the main ingredients to the makings of a great DJ? Musical intellect and I think the most skills you have on the turntables the better. There are dj’s who are just scratchers and then there are dj’s who can just mix music but having the components of both with extra skills just takes you to that next level you know. I always like to compare a good dj and great dj to a cook and chef. When people come to eat you can give them a grilled cheese on bread and they will be satisfied as their hunger would have been squashed but they aren’t going to react to that grilled cheese like Oh My God that was the best cheese and bread I have ever tasted. You satisfied the hunger, but if you are a DJ that could master all of the elements of what being a true DJ comprises of then you are like a Master Chef you know, in the kitchen whipping up gourmet meals that leaves people wanting more and more. There is no limit to how creative you can be and it all depends on how choose to deliver it the crowds. If you basic then you gonna give someone a basic good time, but if you great then you going to take it to a whole other level. I went too hard with that answer right (laughs). The artists / music you are feeling right now? This is going to come off really commercial right now but I am totally feeling Rick Ross and this whole Maybach Music movement going on. The singles are hot and they work really well in the club but I can also ride around in my car listening to these tracks and really get into them so yeah I am totally feeling that sound right now. Its commercial but at the same time he comes off as very authentic to me as well and I love what his Maybach music is doing. Top 4 albums you would take with you into the afterlife? Can’t nobody narrow that down now damn (laughs). Man this is gonna be hard …..(After a long pause) ….now I’m going to be political here and say “The Chronic” by Dr Dre, ‘Against The Wall” by Michael Jackson, Earth Wind & Fire’s Greatest Hits and Channel Orange by Frank Ocean. Now just so you know Ms Hennessey this question is not fair okay …..it’s like trying to fit a square into a round hole (laughs). What’s next for DJ Nabs? I gotta say that project wise for me the American DJ Story film is my main focus right now outside of my touring and DJing, that’s my job at the end of the day but this film is a great journey for me right now and I intend to complete it and release it when the time is right, just so it can be received in the highest light……watch this space! ← Tristan Edouard – Capturing Hip Hop One Frame at a Time! Thanks so much for your kind words….